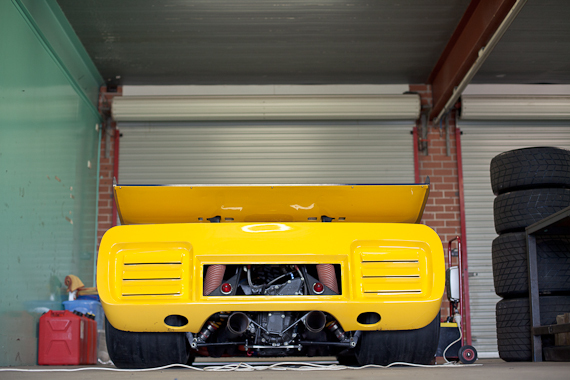 A huge field of historic sports and racing cars has descended upon Sydney Motorsport Park for this weekend’s Tasman Revival, and Thursday practice is well under way. While everyone’s settling in, preparing their cars and pits and putting in some practice laps in preparation for the event, enjoy this Tasman Revival teaser from NRMA Driver’s Seat. This entry was posted on Thursday, November 22nd, 2012 at 4:51 am	and is filed under Tasman Revival and tagged with 2012, Single Seaters. You can follow any responses to this entry through the RSS 2.0 feed. How do you know if a Tasman 2.5l car is running a 2.5l or a 3.0l engine?